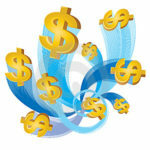 Are you desperate to earn extra income? If not, count your blessings. Imagine you are just months away from turning 65 years old. You have spent your entire adult life working hard, scrimping and saving and sometimes even doing without so you could build a nice nest-egg for yourself. You’ve had your moments of fun in the sun and sowed a few wild oats here and there. But all in all you were responsible. You paid the bills, kept food on the table and faithfully contributed to your 401(k), IRA or other retirement account. You even saved a few dollars so you could live comfortably in your golden years without having to ask for a handout. You did what every responsible person with any common sense should do. You did what was right. Plain and simple. You were a good steward. You planned for the future and, sure enough, you put together a nice comfortable retirement package. … your nest-egg is worthless. Your 401(k), once filled to the brim with income producing stocks and bonds from strong blue-chip companies, has now become a 201(k) stuffed full of worthless paper and, as the economy continues to sink, it appears you are going down with the ship. And your company’s pension… what pension? Or imagine you are just starting out in life. You have a young family and you need to earn extra income just to pay the bills and keep food on the table. You owe a bazillion in student loans, your credit cards are maxed out and the promise of graduating into nice, executive-paying career turned out to be nothing more than a bad joke. New engineers are working at StarBucks, new teachers are standing in the unemployment line and grad students are tutoring sixth graders for six bucks an hour. The world economy is collapsing and the ranks of the unemployed are bursting at the seams. So you can’t find work – at any age – that pays more than pocket change. And you can ask your kids or your parents for money because they are having challenges of their own. Not to mention, you have your pride. You a hand up, not a hand out. But you’re desperate – you are so desperate – to earn extra income. Because things have never been this bad and they seem to be getting worse. And time is running out. You find yourself alone, broke and with no one to turn to. According to ShadowStats.com, the actual number of people currently out of work in the United State is 23.6%. That’s a whopping 36.7 million Americans (that’s more than the entire population of Canada!) and there is no silver lining on the horizon. Companies, cities, counties, states and even entire countries are going bankrupt and everyone pretty much knows, deep down, we are in for a world of hurt before things get better. One false move (even if it is not your fault) is enough to put many people on the streets with no home, no savings, no medical and no hope of easy relief. Times are tough and getting tougher. … and one false move (even if it is not your fault) can lead to shear desperation. The EXPRESS PURPOSE of this note is to challenge you to take action now so you can avoid falling into desperation. So you can avoid the nightmare feeling that we are all slaves to circumstances beyond our control. Because it does not have to be that way. But IF AND ONLY IF you stop, take an honest assessment of where you are now and then look ahead to where you need to go to protect you and your family’s best interests. You also need to raise your income thermostat if you want to increase your income. Make a plan and then work your plan. Now. Before it is too late. Because the best time to “earn extra income” is BEFORE you need it. Before your personal economic situation turns desperate. Right? The first two are really where a person can truly “create a fortune” because like starting any business – if you do it well, you can literally write your own 1st class ticket to success. The challenge is most people do not venture online with a skill that is marketable online. For example, if you are really good at “organizing” – you could start a local “organizing” home business and grow it to any level you want. But this same skill of “organizing” really cannot be translated to a marketable service online. Data entry, typing, graphics creation, web site installation, blog customization, programming, writing and research are all highly marketable services you might offer. You can offer your services from sites such as odesk.com and elance.com. Offering a product for sale online is one of the most powerful ways to earn extra income if there is a market for your product and if you are willing to learn the art and science of internet marketing. Tangible products can be sold on amazon.com or ebay.com and digital products like software and information can be offered via clickbank.com, paydotcom.com and others. You can also create your own marketing funnel including a web site or blog, autoresponder and free content designed to attract your target market. For most people, getting involved in affiliate marketing is the best way to get started trying to build a business online. The reason is you do not need to have your own product or service, support staff or even a merchant account. You simply “sign up” and begin promoting. Which, if you have never done internet marketing before, is plenty to have to wrap your mind around in order to produce a result. Lot of people make a lot of money as full-time affiliate marketers. But it is certainly not a get-rich-quick path. Nor is it an “easy” path. Offering a service is often much easier because when it comes to affiliate marketing – your job is to find prospects who may be interested in the product or service you are offer and find a way to steer them into taking a look at your offers. 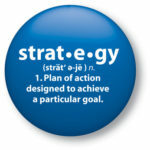 In a nutshell – you will need to set up a selling site or blog. You will need to flesh this new site with a lot of valuable content and other free offers designed to attract your target market. Next you need to promote the site using search engine optimization techniques (free traffic) or paid advertising methods. Perhaps the best affiliate program available today that comes complete with a marketing blog, content and in depth training is Empower Network because it also offer a nice set of low-price to high-price products and services. If you are looking for a more passive type of program where you can earn good money promoting TOOLS to other internet marketers… see Power Lead System. For affiliate marketing training… Russel Brunson earned over $250,000 his first year online and has gone on to create a multi-million dollar per year business. And while Russel does not promise your road to success will be easy, he does promise it will be worth it. PS – Network marketing is a good 2-4 year plan that works if you work it. But that is a topic for another day. Most of us are desperate to earn extra income NOW – sooner rather than later so affiliate marketing is the way to go for quick cash flow. 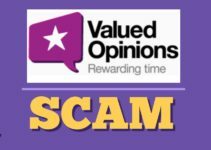 Valued Opinions Scam – Just Another Paid Surveys Scam?